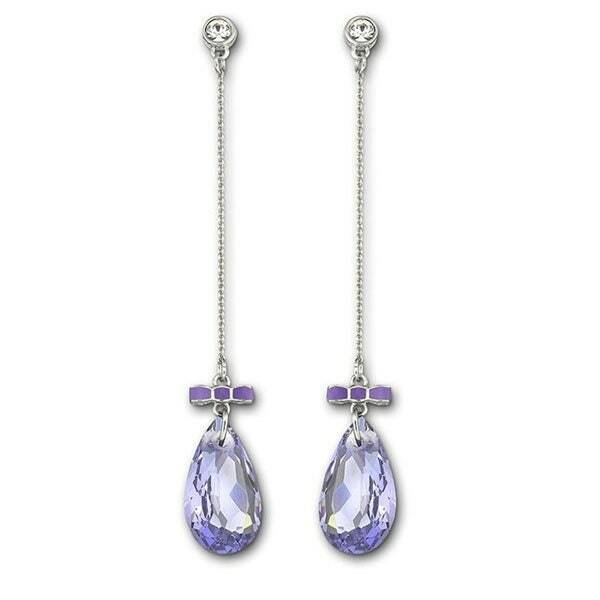 For sale are these gorgeous brand new in Box Swarovski NINA faceted tanzanite crystal drop earrings with purple enamel bow. New in box. Elegant, feminine and sweet, this pair of rhodium-plated pierced earrings combines simplicity with real attention to detail. A lovely bow in epoxy lends a romantic touch to the design. 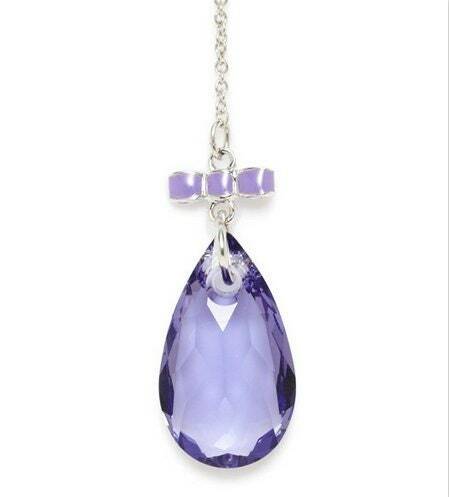 The timeless coloring of the Tanzanite crystal makes this piece ideal for everyday wear.